In July 2011 I was lucky enough to acquire part of Henry Otley Beyer's Catalogue of specimens (tektites, stone tools, pottery, jewellery) together with a few ethnographic photos and some archaeological photos. Basically this photo collection was found in an attic in Quezon City some 9 months or so ago. It was purchased by the sellers grandfather 'around 10 years ago'. This makes sense as I believe much of Beyer's remaining material was sold around 2002-2005. 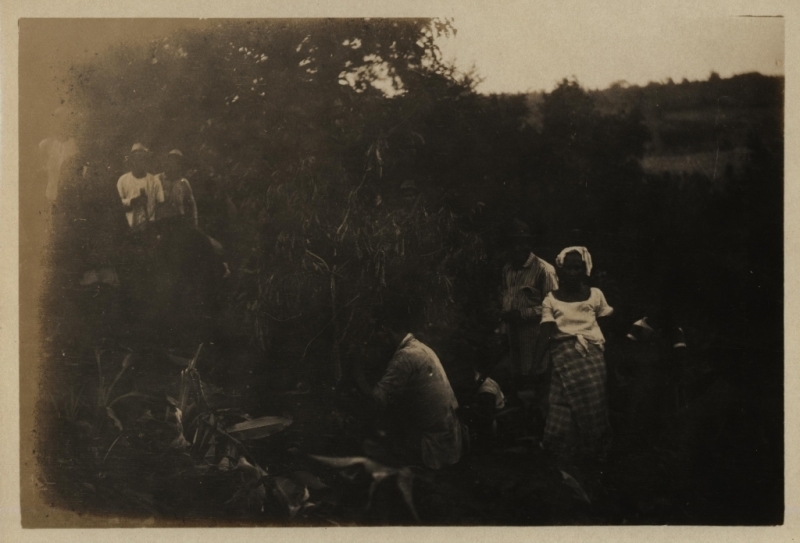 By the time I got on the scene around 90% of the ethnographic images, including images previously owned/taken by Dean Conant Worcester (1866-1924) had been sold (70% to one European buyer). None of the catalogue photos had been sold and so I was able to purchase this entire collection plus a few remaining ethnographic and other photos. It was an exciting find as I thought all this material had been sold to the National Library of Australian. I wanted to keep this catalogue collection intact so I bought the lot, despite the hefty price tag. I reckon these are just remnants of the H.O.B. Photo Catalogue as the collection is clearly very incomplete (despite me purchasing all available catalogue photos and none being previously sold). Probably just left over bits and bobs after the sale to Australia I am guessing. The first set of photos made my hair stand on end. I instantly recognised that this set may be of great importance and subsequent research revealed this to be the case. 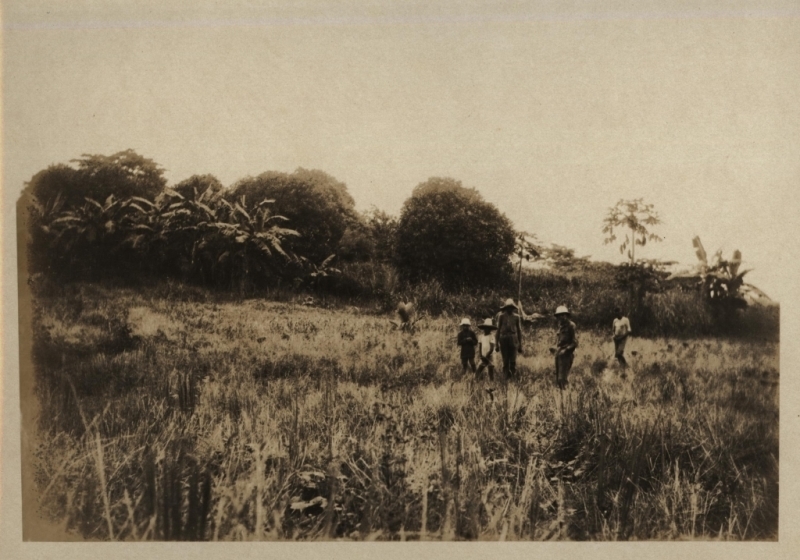 The photos were taken at the end of October to first half of November 1926 at Novaliches (La Mesa) dam construction site in Manila. Now why is this of importance? 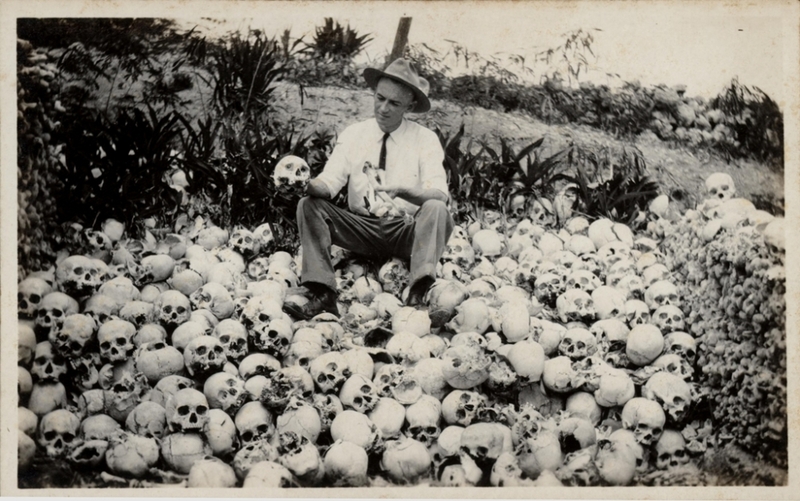 Well in 1925 Beyer went on a five week visit to the United States and he was offered a chair in the Anthropology Department at the University of Michigan and Princeton University. He was also offered a research professorship at Harvard. 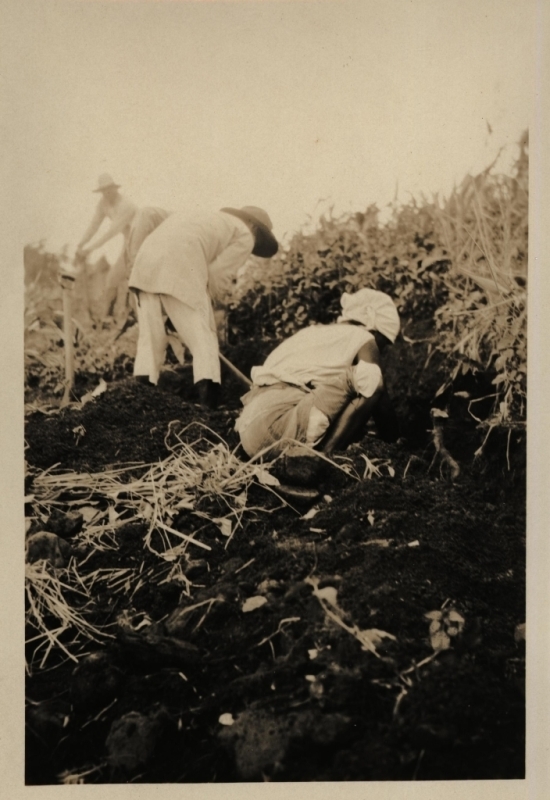 He decided to accept the Harvard offer (Chronology of Dr. Henry Beyer's life website), but in 1926 an archaeological site was discovered in the Novaliches dam construction site and revealed a prehistoric iron-age site dating to around 200 B.C. 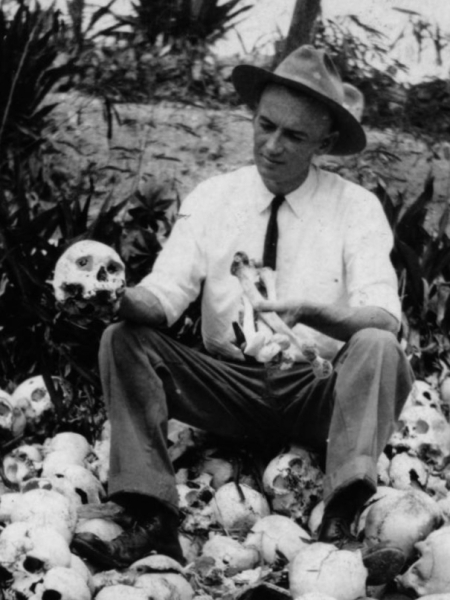 (Beyer, 1961-1962) Other sites were later discovered and Beyer turned down Harvard's offer in pursuit of Philippine archaeology. So this may have been a key event in Beyer's life, without which his tektite studies would not have taken place. 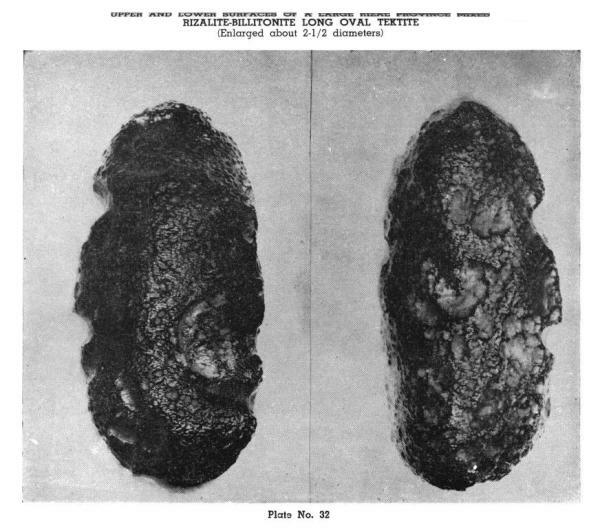 Secondly, it was on October 8, 1926, that Beyer found on Eugenio's Hill at Site C (located about 17 km NNE of Manila, in Rizal Province) the first whole tektite specimen recorded from the Philippines. At the time it was labelled as "a curious lump of black or dark olive-green glass, the surface of which presents a slightly pitted and fused appearance; and which may be either a strange form of natural obsidian or a crude artificial glass" (Beyer, 1961-1962). 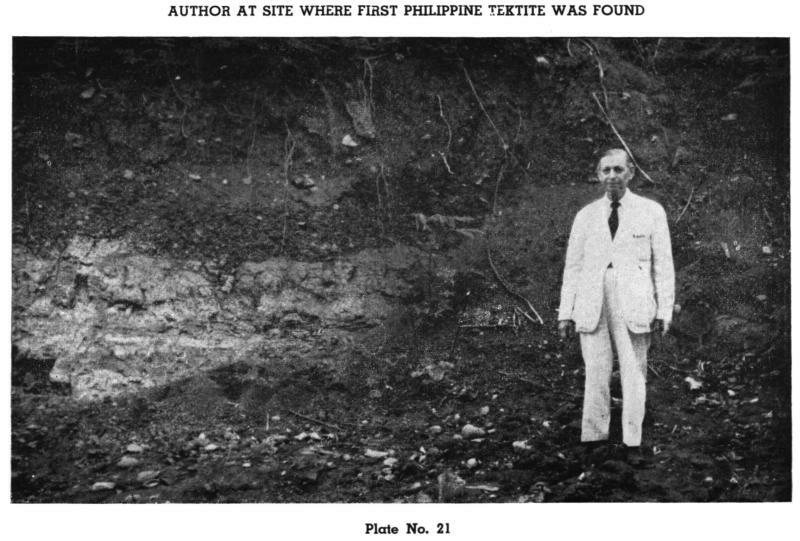 Philippine tektites were formally described by Beyer in 1928. This set of photos started with Photo #2297. 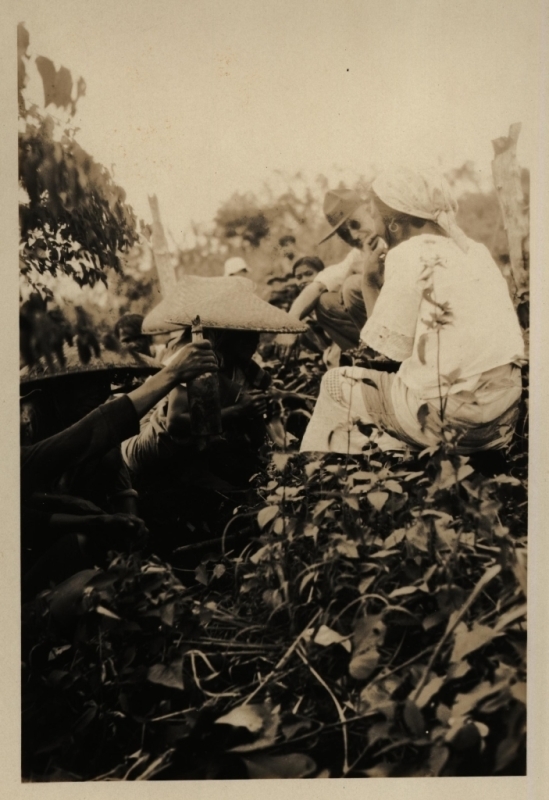 Beyer arrived in the Philippines in 1905. In late 1925 to early 1926 Beyer considered a research professorship at Harvard. Fortunately for tektite studies he decided to return to the Philippines. 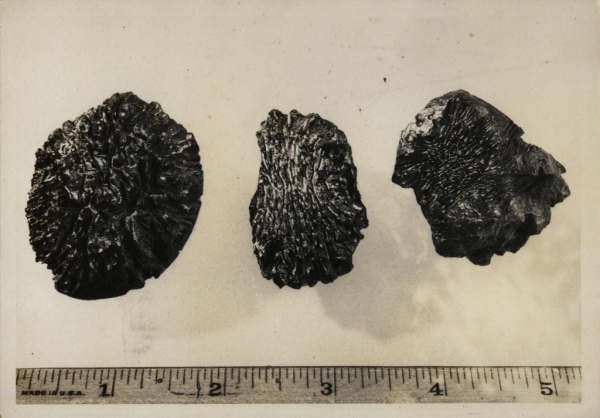 Later in 1926 Beyer discovered the first Philippine tektite and described them in 1928. LEFT: Photo #2297. 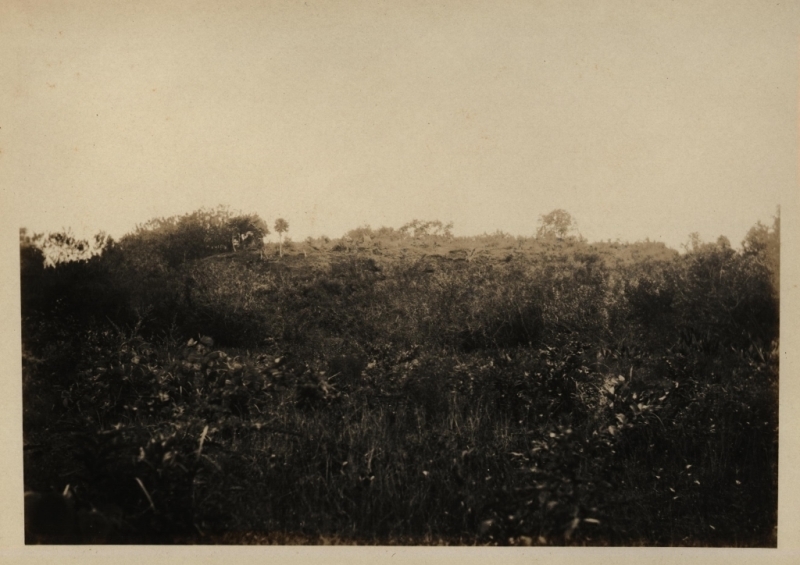 Site A. Haley's new cut on Dam-side slope of Hill No. 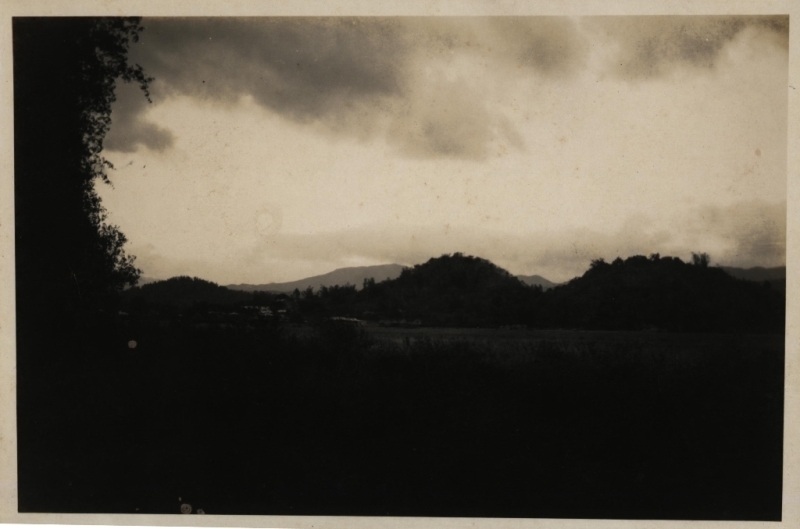 1, on [no date, but going by series order it was prior to 29 October 1926]. (Original photo in Aubrey Whymark Collection). LEFT: I have zoomed in on the person in this shot. I do not believe that this is Beyer (although cannot 100% rule it out) as he is not wearing a tie and he is wearing a hat unlike other photos. His stance also looks wrong. It is clear from subsequent photos that wearing a white suit was the 'norm' on an archaeological dig of this period - at least for the boss! Photo #2298, #2299 and #2300 were not present in the collection. LEFT: Plate No. 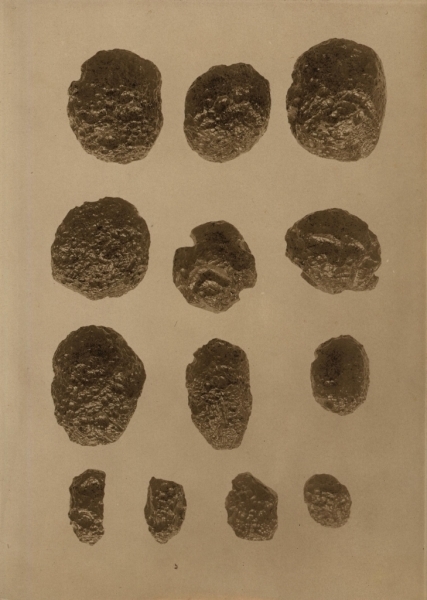 21 in Beyer's Philippine Tektites, 1961-1962. Is this the same site or not? 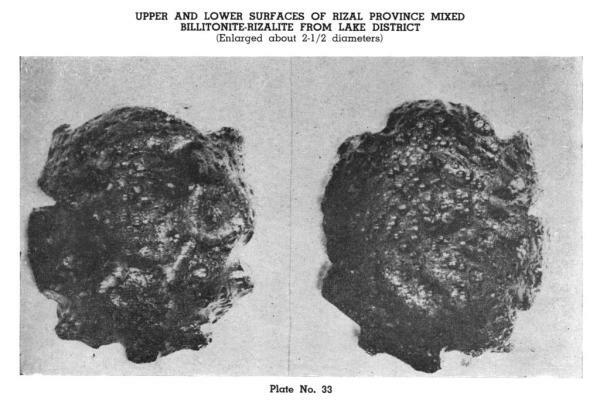 The tektites were first found at Site C and not Site A (which is my image) so I am assuming this plate, which includes Henry Otley Beyer, depicts Site C and not just the broader Novaliches/La Mesa dam construction area. The whiter rock is interesting though as both images show a similar layer. I think you can understand why I got excited! LEFT: Photo #2301. I think this reads Inálson Fort, Oct. 29, 1926 but I may be wrong. Inálson is Site 13 mentioned in Beyer, 1961-1962. (Original photo in Aubrey Whymark Collection). LEFT: Photo #2302. I think this reads Inálson Fort, Oct. 29, 1926 but I may be wrong. Inálson is Site 13 mentioned in Beyer, 1961-1962. (Original photo in Aubrey Whymark Collection). There are two main depositries of Beyer's work. The main one is in National Library of Australia (acquired 1972). A set of documents from his office is found in the University of the Philippines Library Diliman (126 boxes). 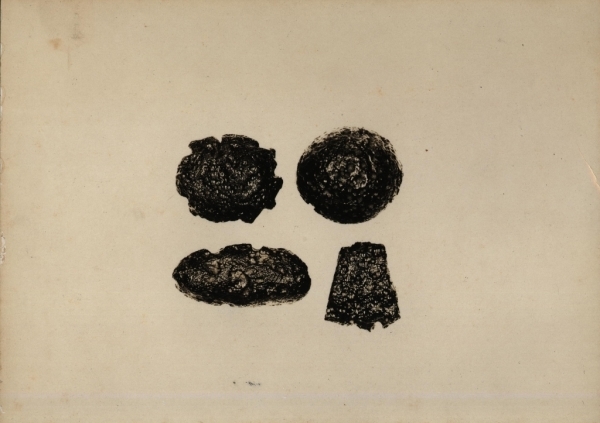 I saw to it that these were indexed and the tektite papers scanned, but a large amount of work needs to be scanned before it is lost. LEFT: Photo #2303. I think this reads Inálson Fort, Oct. 29, 1926 but I may be wrong. Inálson is Site 13 mentioned in Beyer, 1961-1962. (Original photo in Aubrey Whymark Collection). Photos #2304 and #2305 are missing from the collection. LEFT: Photo #2306. This reads Nov. 10th, 1926. Site C. Site C = Eugenio's Hill, Novaliches District (Beyer, 1961-1962). 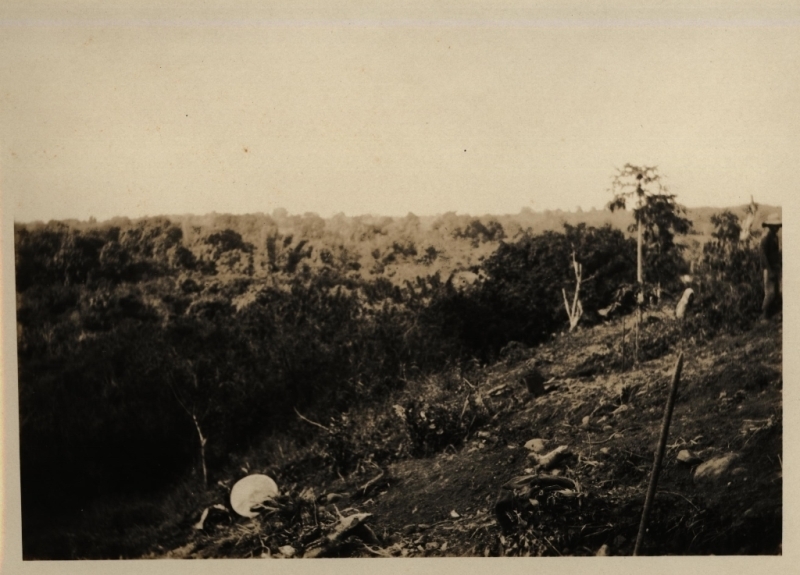 This is the site where the first Philippinite / Rizalite was recognised. 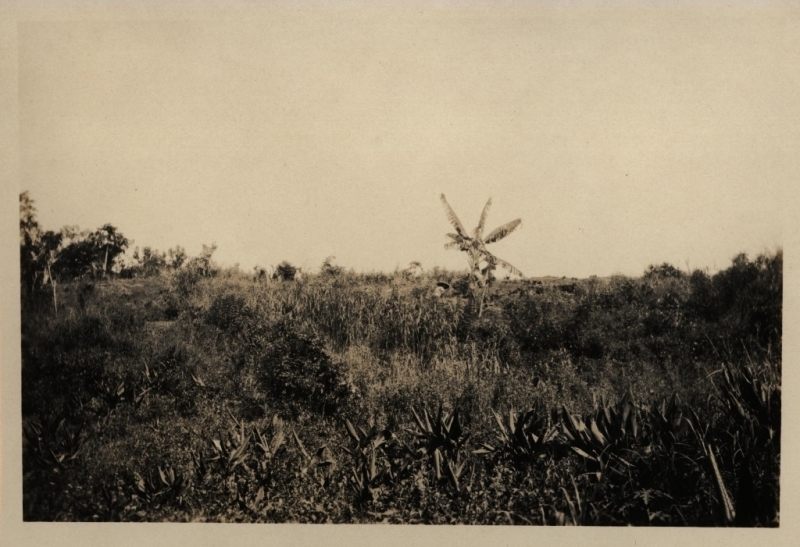 (Original photo in Aubrey Whymark Collection). LEFT: Photo #2307. This reads Nov. 10th, 1926. Site C. Site C = Eugenio's Hill, Novaliches District (Beyer, 1961-1962). This is the site where the first Philippinite / Rizalite was recognised. (Original photo in Aubrey Whymark Collection). ABOVE: Photo #2309. This reads Site C, Nov. 10th. Site C = Eugenio's Hill, Novaliches District (Beyer, 1961-1962). 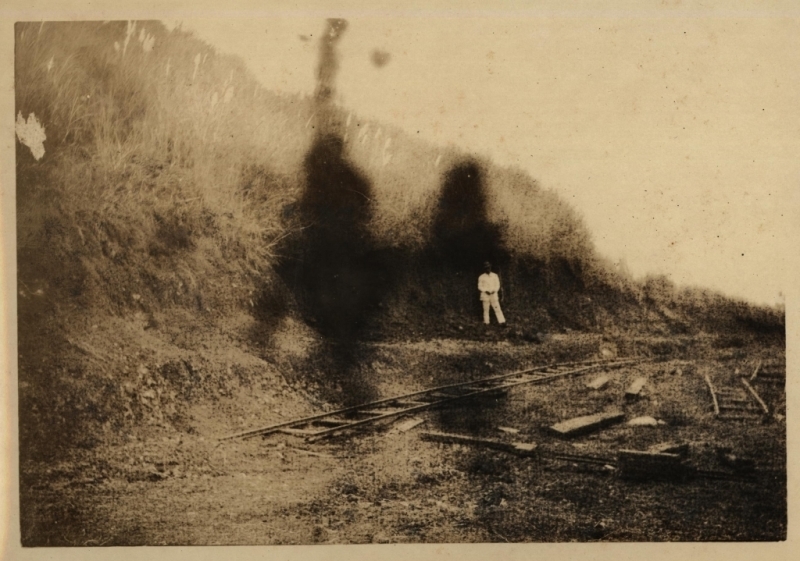 This is the site where the first Philippinite / Rizalite was recognised. (Original photo in Aubrey Whymark Collection). ABOVE: Photo #2308. This reads Site C: Nov. 10th, 1926. xxxxxxx in dec. pot place. 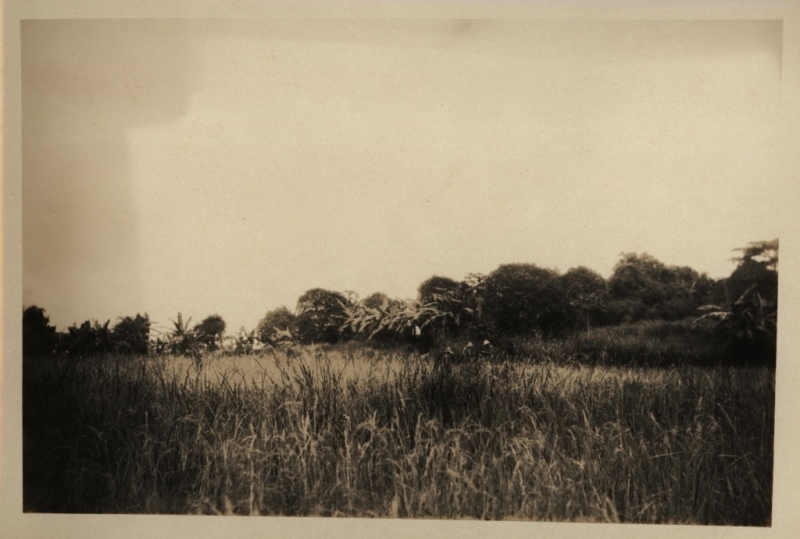 Site C = Eugenio's Hill, Novaliches District (Beyer, 1961-1962). This is the site where the first Philippinite/Rizalite was recognised. Note how the archaeologists are wearing white - must be a nightmare to keep clean! (Original photo in Aubrey Whymark Collection). LEFT: Photo #2310. This reads Top of the west end of Eugenio's hill on Nov. 14, 1926. Site C = Eugenio's Hill, Novaliches District (Beyer, 1961-1962). This is the site where the first Philippinite / Rizalite was recognised. (Original photo in Aubrey Whymark Collection). LEFT: pHOTO #2311. This reads Nov. 14th, Site C, Area "d". Site C = Eugenio's Hill, Novaliches District (Beyer, 1961-1962). This is the site where the first Philippinite / Rizalite was recognised. (Original photo in Aubrey Whymark Collection). 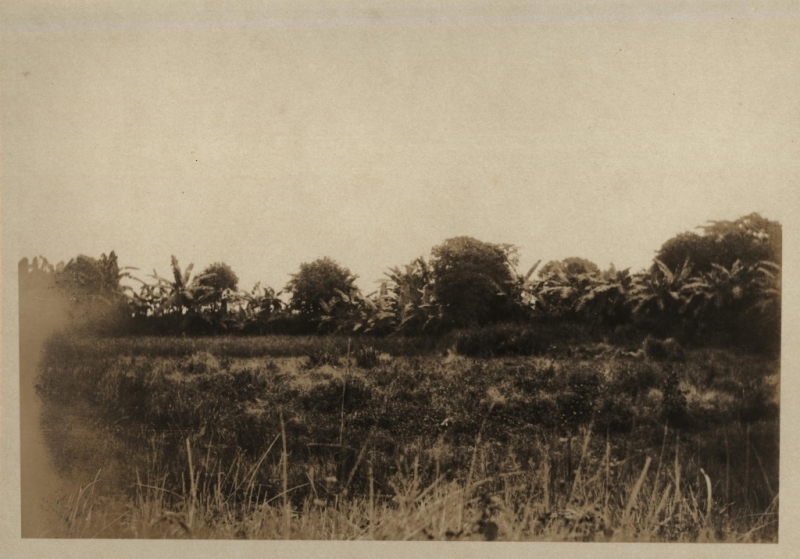 LEFT: Photo #2312. No label on reverse, so not sure if this is relevant or not, but it is sequential to the previous photos. (Original photo in Aubrey Whymark Collection). LEFT: Photo #2313. No label on reverse, so not sure if this is relevant or not, but it is sequential to the previous photos. (Original photo in Aubrey Whymark Collection). This was the end of this sequence of photos and we now move on to the tektite catalogue photos. ABOVE: Photo not numbered. 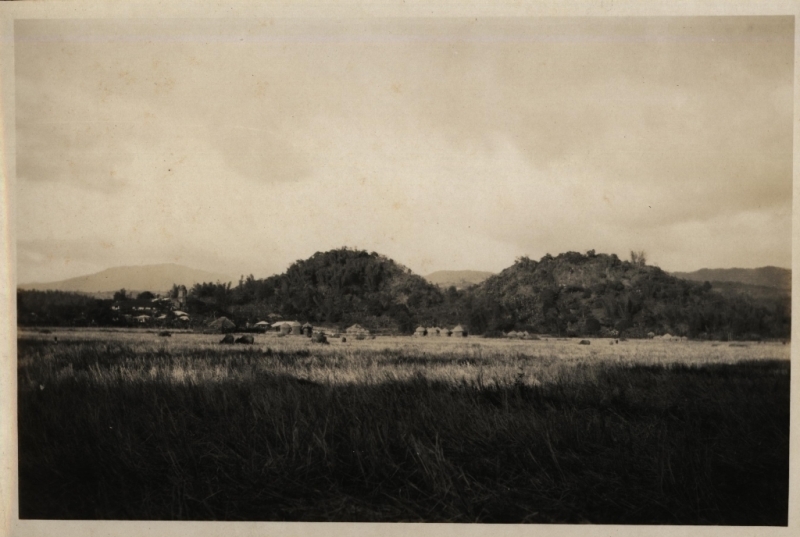 No description on reverse, but from paper quality and style appears to be linked to the photo above. (Original photo in Aubrey Whymark Collection). ABOVE: Photo not numbered. Reads All from Tibágan, Site 58. I believe Tibágan is in San Juan, Metro Manila. 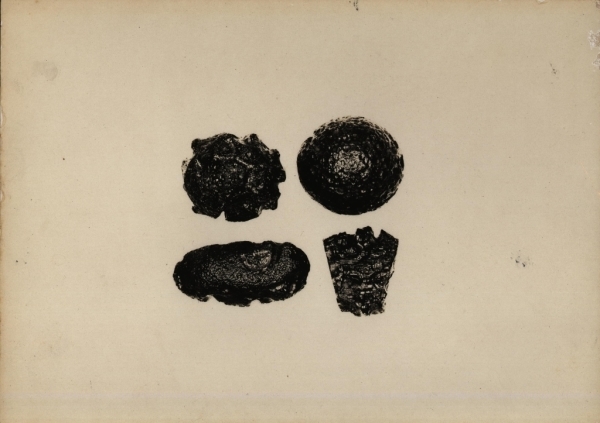 Tektites from Tibágan were found between 1926-1931 and 1931-1935 (Beyer, 1961-1962). (Original photo in Aubrey Whymark Collection). ABOVE: Photo not numbered. No description on reverse, but these are Billitonites. (Original photo in Aubrey Whymark Collection). ABOVE: Plate No. 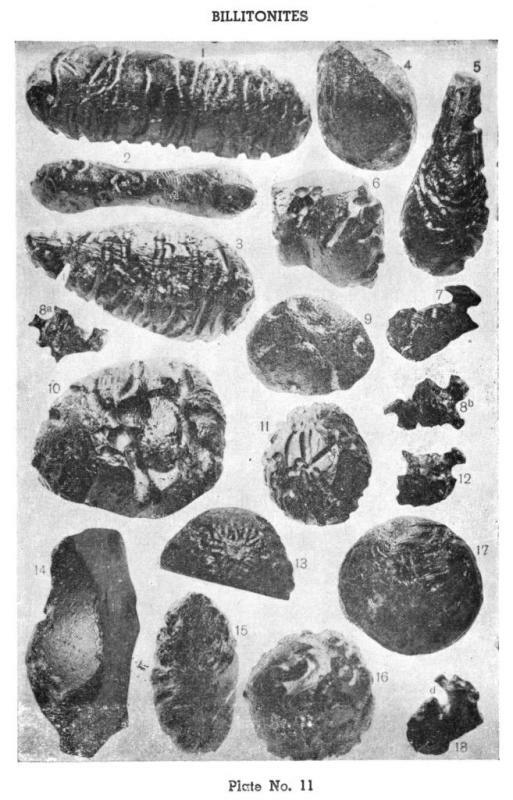 11 from Beyer's Philippine Tektites, 1961-1962: Types of BILLITONITES from the original locality on Billiton Island, Indonesia (after N. Wing EASTON). ABOVE: Photo not numbered. No description on reverse. (Original photo in Aubrey Whymark Collection). ABOVE: Plate No. 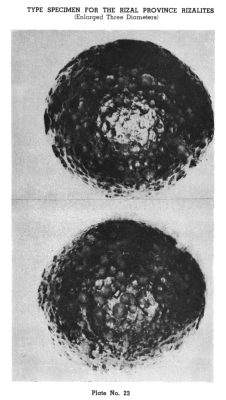 25 from Beyer's Philippine Tektites, 1961-1962: Large "Anda" spheroid with three other Pangasinan types. ABOVE: Plate No. 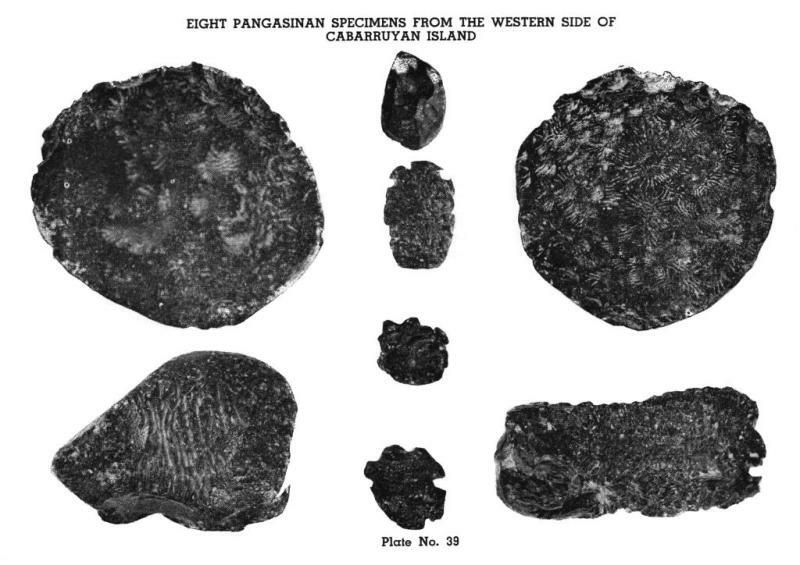 39 from Beyer's Philippine Tektites, 1961-1962: Eight Pangasinan specimens from the western side of Cabarruyan Island. ABOVE: Photo not numbered. No description on reverse. (Original photo in Aubrey Whymark Collection). 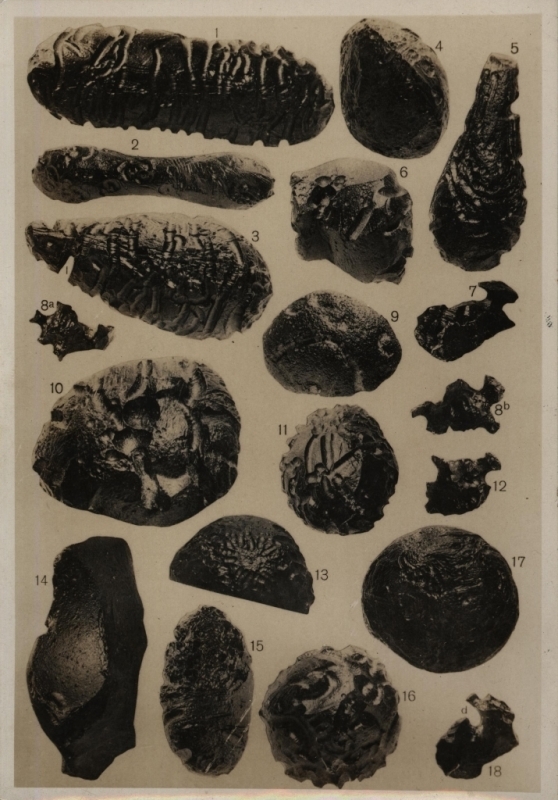 Shows front of specimens. ABOVE: Photos not numbered. No description on reverse. (Original photos in Aubrey Whymark Collection). Two copies of the same photo in this collection. Shows back of specimens. ABOVE: Plate No. 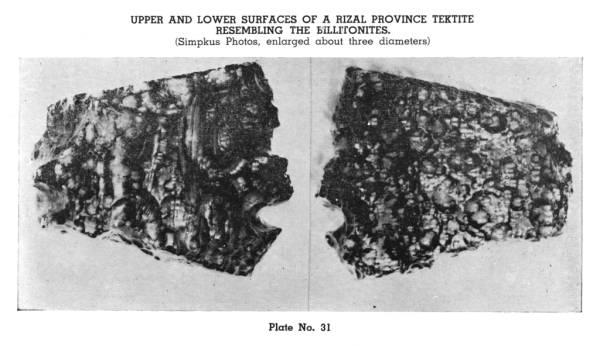 33 from Beyer's Philippine Tektites, 1961-1962: Upper and lower surface of Rizal Province mixed Billitonite-Rizalite from Lake District. 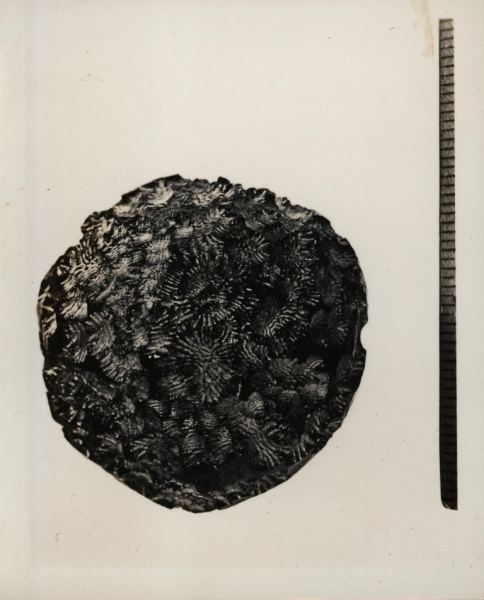 This specimen is in the Aubrey Whymark Collection! ABOVE: Plate No. 23 from Beyer's Philippine Tektites, 1961-1962: Type specimen for the Rizal Province Rizalites. ABOVE: Plate No. 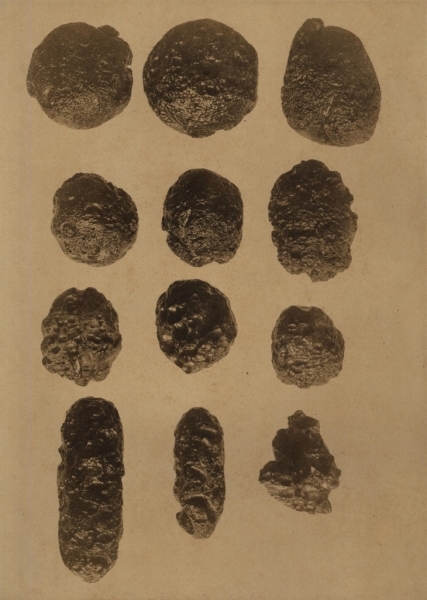 32 from Beyer's Philippine Tektites, 1961-1962: Upper and lower surface of a large Rizal Province mixed Rizalite from Lake District. ABOVE: Plate No. 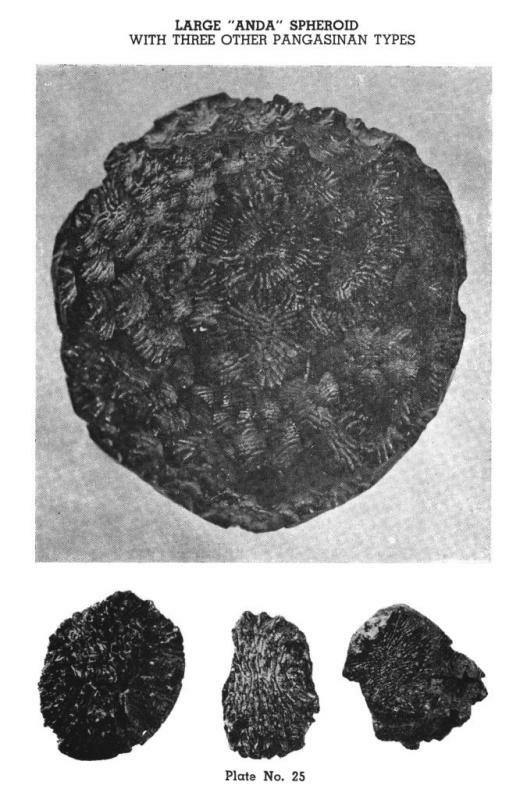 31 from Beyer's Philippine Tektites, 1961-1962: Upper and lower surface of a Rizal Province tektite resembling the Billitonites. Here follows the complete collection in 4 parts. These can be downloaded, but be warned that part 1 is 62 Mb, part 2 is 47 Mb, part 3 is 45 Mb and part 4 is 49 Mb. Please ask permission before reproducing any images. 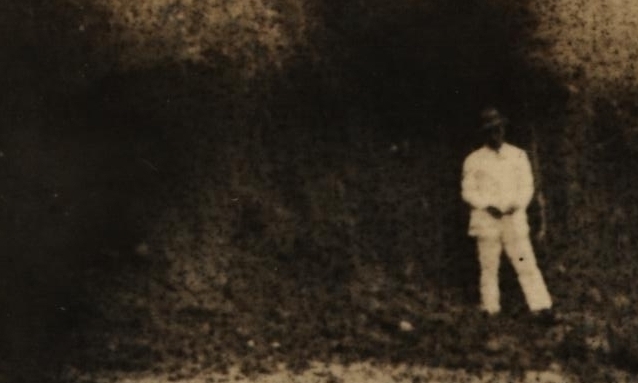 If you have any information on these photos please do get in touch - I am a geologist and so the archaeological images are largely not investigated at this time. [email protected] Since these were produced I have received a few more documents, but this is the bulk.